Revere Ware Parts :: Interesting :: What is Revere Ware (aka World Kitchen) up to? 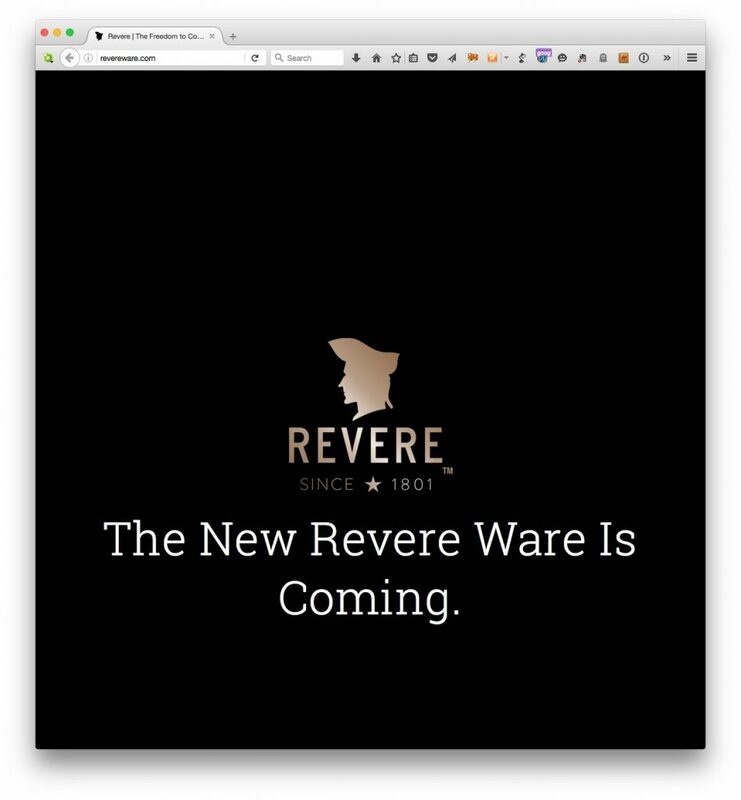 What is Revere Ware (aka World Kitchen) up to? 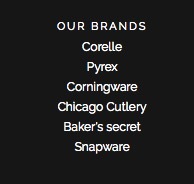 The Revere Ware brand has been owned for at least a couple of decades by World Kitchen, which owns a number of other formerly iconic brands, like Pyrex, Cornigware, and EKCO. World Kitchen seems to specialize in buying formerly popular vintage brands and selling very cheap knockoffs under the brand name. Just what are they up to? The Revere Brand has languished over the decades, with a minimal selection of very poor quality cookware. It was not uncommon to hear stories about the mostly symbolic copper layer wearing off, or completely falling off. The only piece we could recommend was the tea kettle, as that seems to be a pretty simple piece that doesn’t depend on the thickness of the metal like pots, pans, and skillets do. All the other cookware was made to be thrown away after a few years (although they still honored a 25 year warranty on the copper bottom cookware). Could they be planning a return to an actual quality product for the branded cookware? 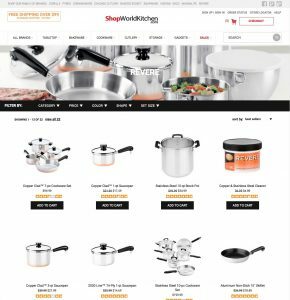 The revereware.com site still has the above message, but in a new twist, World Kitchens site no longer lists the Revere Ware brand on its main page, and using the sites search feature no longer brings up Revere Ware results. The Revere Ware FAQ page and Revere Ware product page are still available via direct link though, and their brands page does still include the Revere brand. 2 Responses to What is Revere Ware (aka World Kitchen) up to? I hope this means that some other company has bought out the brand and will be re-introducing new, vintage-quality revereware copper pots and pans. I have a set of copper-clad (bottom) cookware that is still in excellent condition after 28+ years of constant use, except for the handles which are disintegrating and need to be replaced. I hate that Revere Ware brand has reduced to a cheap product, and I hope all this means a return to the quality and distinction it deserves. It’s a part of our American history–let’s not throw that out!